For those with significant GI issues and or immune distress, G.I. 5 is designed to give a cost effective, high degree of support to build and balance beneficial intestinal flora. The 5 species in this formulation: Lactobacillus rhamnosus, Lactobacillus acidophilus, Bifidobacterium bifidum, Streptococcus thermophilus, and Lactobacillus bulgaricus—work together to effectively increase colonization of the microorganisms in both the small intestine and the colon. G.I. 5 helps to reset the immune system and reducing inflammation that starts in the gut. G.I. 5 is a high-potency, hypoallergenic blend of five probiotic strains, G.I. 5 is designed for individuals who need a high degree of support to build and balance beneficial intestinal flora. The five strains in this formulation: Lactobacillus rhamnosus, Lactobacillus acidophilus, Bifidobacterium bifidum, Streptococcus thermophilus, and Lactobacillus bulgaricus work together to effectively increase colonization of the microorganisms in both the small intestine and the colon. The transient and colonizing strains in this combination have high tolerance to stomach acid and bile, which is important for maintaining viability in the intestinal environment. G.I. 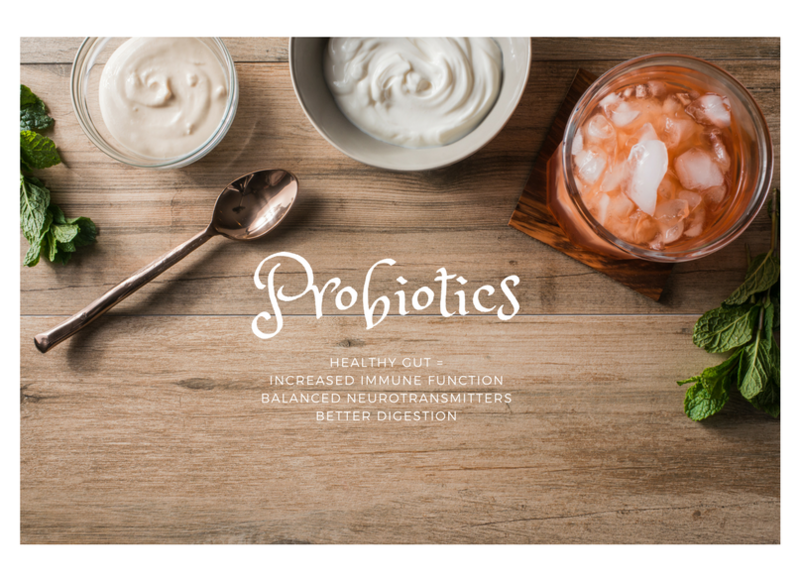 5 is an excellent, cost-effective option for supplementation with potent amounts of primary, broad-acting resident probiotic strains complemented by two non-resident strains that compete against less desirable bacteria and yeast. Lactobacillus Rhamnosus (Lr-32) has been proven to have remarkable survivability in the acid and bile environments in the GI tract. L. rhamnosus is particularly useful because of its ability to adhere to cells, enhance microflora balance, and inhibit pathogen adherence. L. rhamnosus was also found to positively affect inflammatory and immune gene signaling of over 1,700 genes when administered in high doses. Streptococcus Thermophilus is excellent for lactose intolerance as it breaks down the sugar into lactic acid and facilitates smoother digestion. S. Thermophilus also protects against small intestine irritation and helps to eradicate H.Pylori, reduces diarrhea, reduces gut inflammation, helps prevents chronic gastritis, and encourages the growth of other probiotics. One of the earliest identified probiotic bacteria, S. Thermophilus is a lactic acid bacterium and is used in the production of yogurt and cheese. Lactobacillus Bulgaricus assists with digestion of dairy, decreases leaky gut, diarrhea and nausea. The L. bulgaricus strain lives in the mucous membrane that lines the GI tract and helps diminish harmful organism as it grows in numbers when it’s needed and diminishes when it is not and helps neutralize toxins and kill harmful bacteria by producing its own natural antibiotics. G.I. 5 is a probiotic supplement intended to provide a support to repopulating the intestinal tract with good bacteria that increases intestinal tissue healing, increasing bowel health, and increasing your immune function. G.I. 5 is a cost effective, maintenance dose for individuals with acute or chronic gastrointestinal issues and immune challenges. G.I. 5 is intended to take 1 capsule daily or as directed by your healthcare practitioners. It is best to take on an empty stomach first thing in the morning or just before bed.